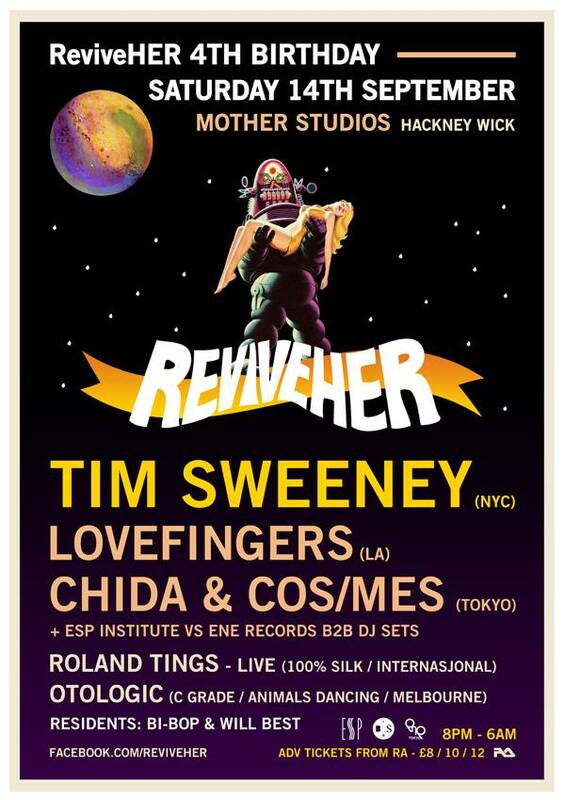 James who runs London’s ReviveHER party got in touch with tapes in hand of their 4th Birthday party so obviously it would be rude not to put them up as the ones he wanted us to put up were Lovefingers, Otologic and Roland Tings. All people on a wave of good. It was one of the first birthdays they had managed to celebrate and they managed to pull a great line up together. First up is Lovefingers which is cool as his ESP label is totally on point for me right now. I don’t think they are putting a foot wrong. Go seek if you’ve never heard. Back to ReviveHER. 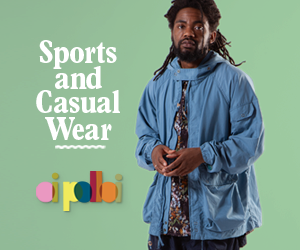 They have a warehouse space in Hackney they use exclusively for their parties which looks over the Olympic Park on one side and London’s business district Canary Wharf on the other. It’s basically that NYC loft vibe in full. Parties coming up this year for the chaps are three label showcases. On Friday March 28th they have Let’s Play House with Jacques Renault and Rub N Tug; Friday May 2nd: Rush Hour w/ Xosar – Live (UK Debut), San Proper and Antal and Friday May 30th: Local Talk Records w/ HNNY, Outboxx – Live, Mats & Tooli. Top line-ups. So back to this party – what you have hear is Lovefingers warming up the room from empty to good to go. Following days will see the two remaining sets we have from the Australia’s Otologic and Roland Tings. Live people having live times. If you want to find out more on ReviveHER head to their Facebook group here.